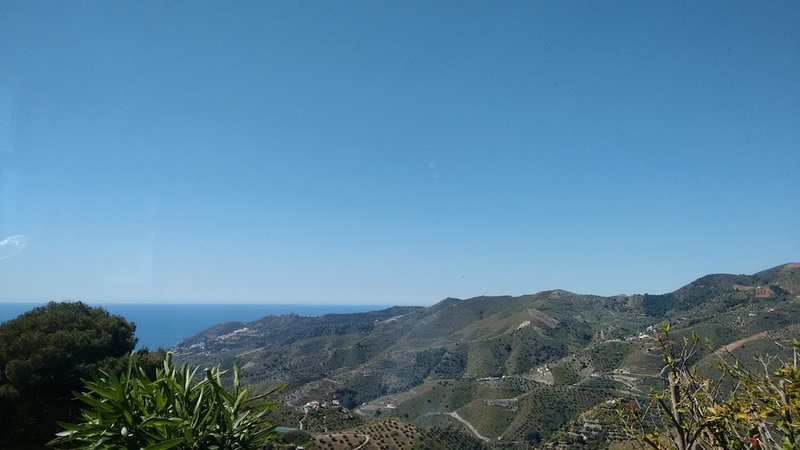 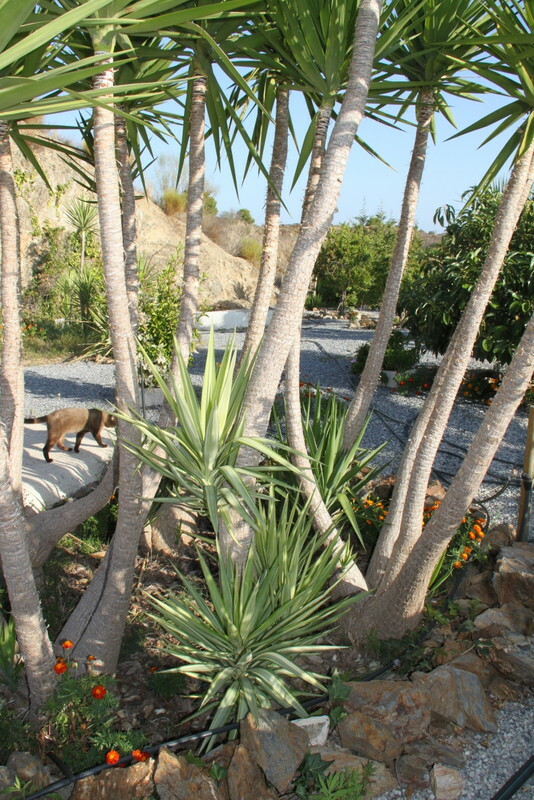 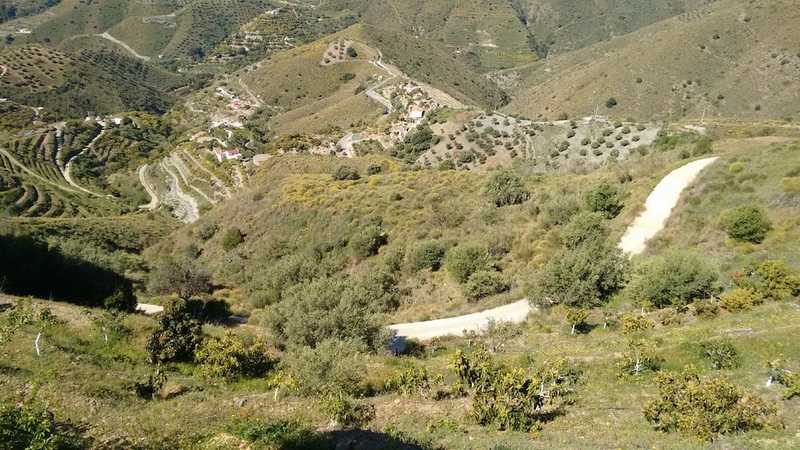 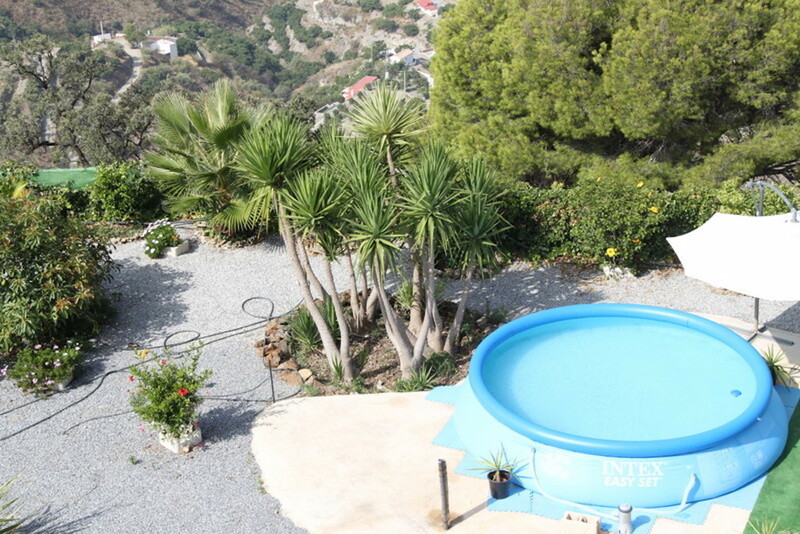 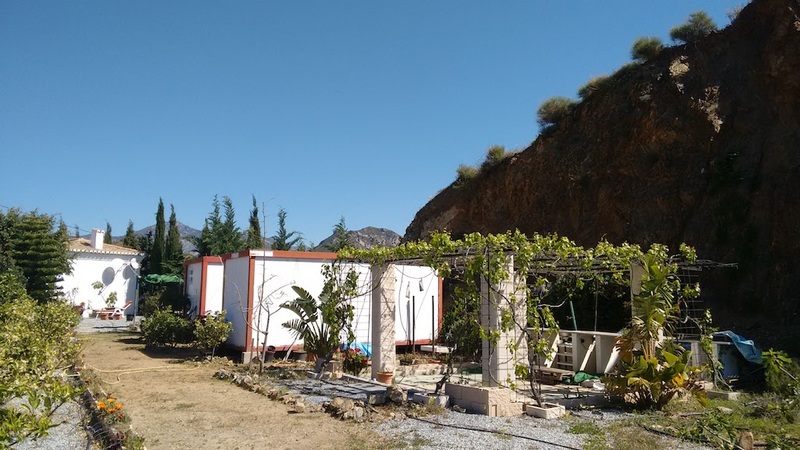 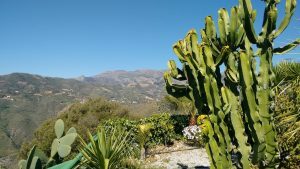 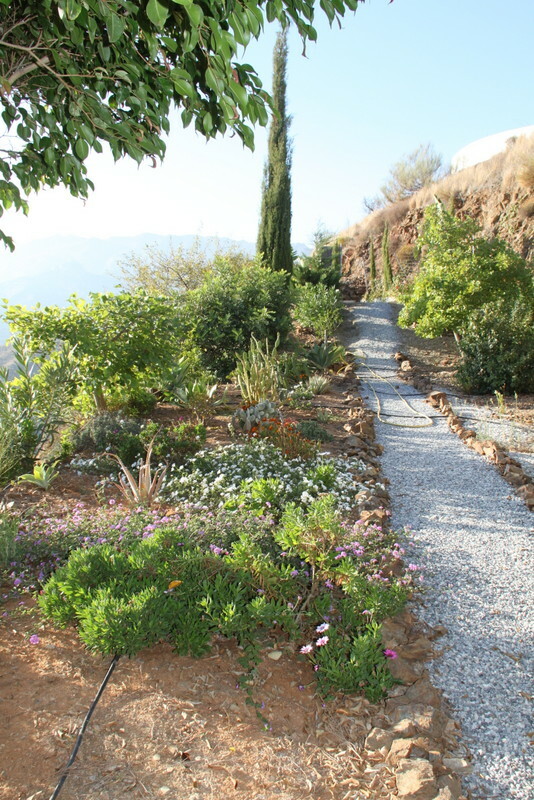 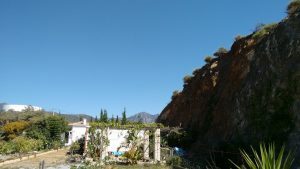 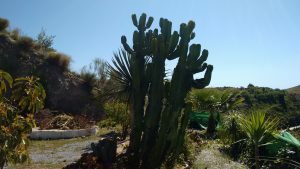 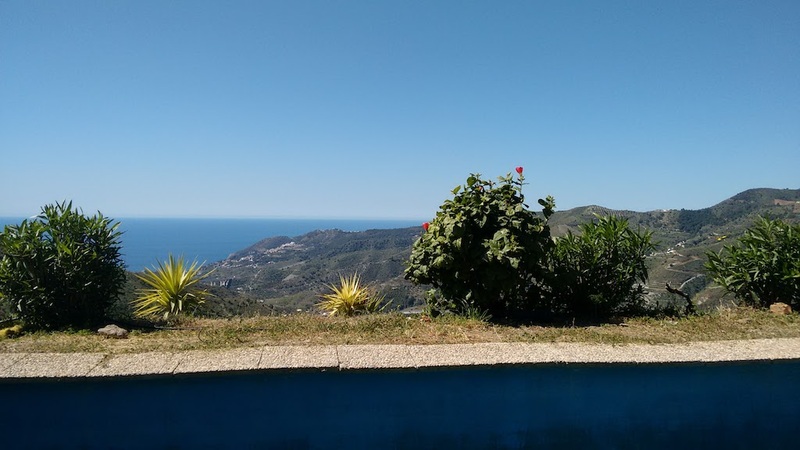 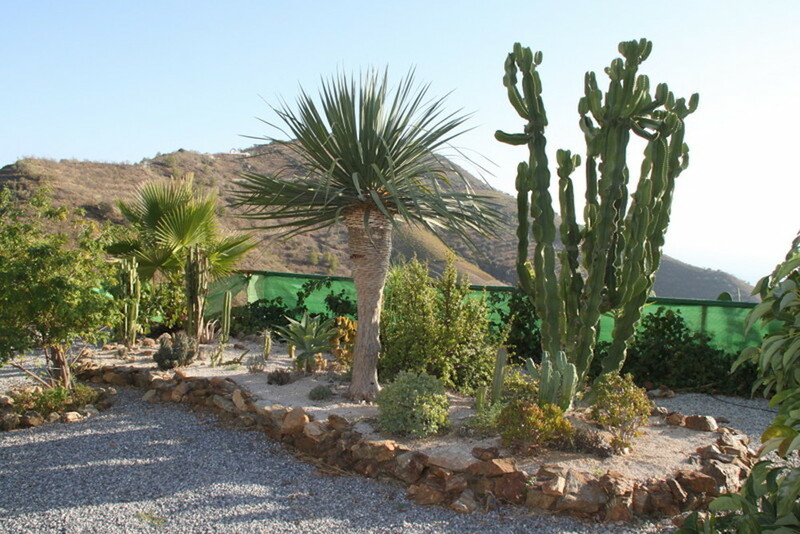 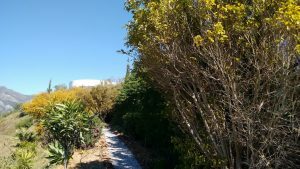 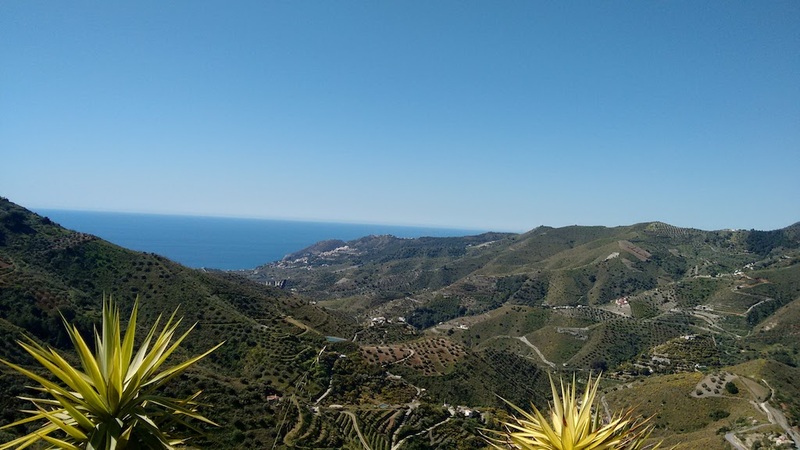 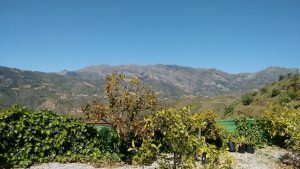 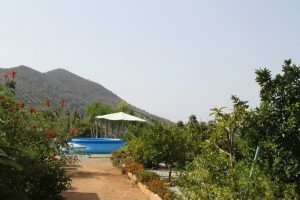 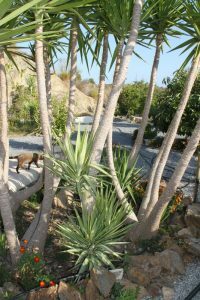 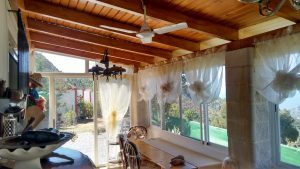 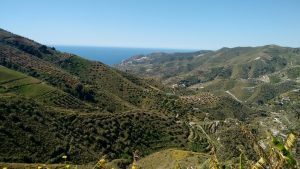 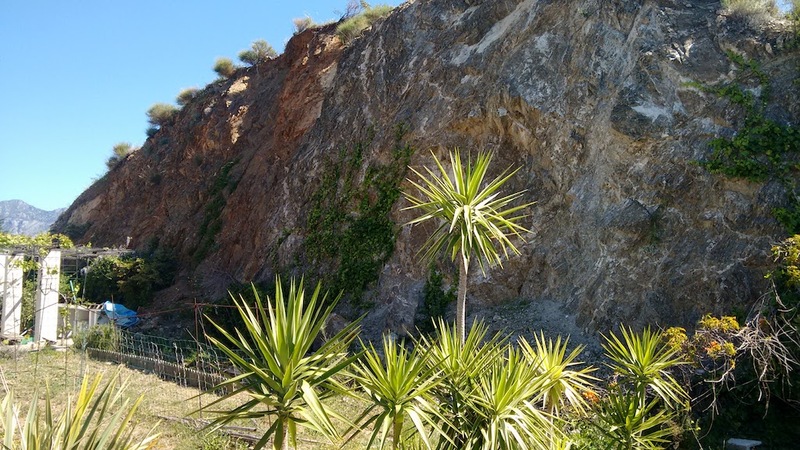 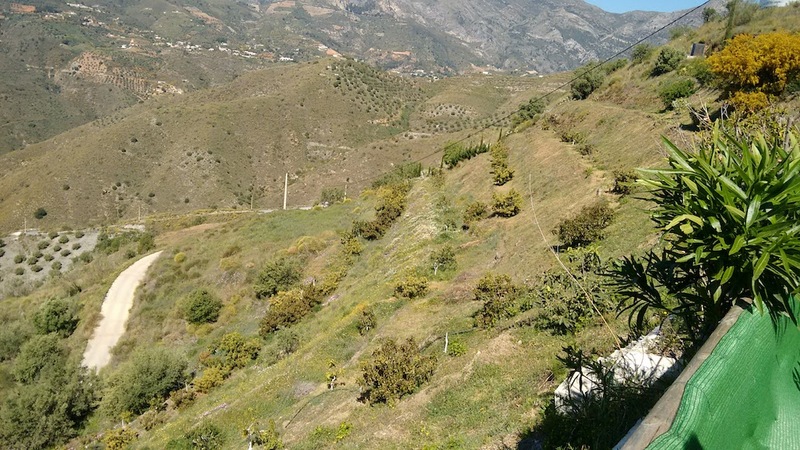 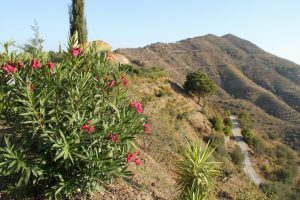 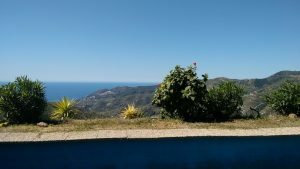 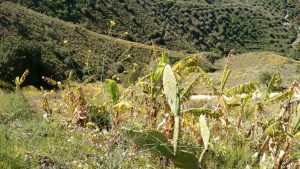 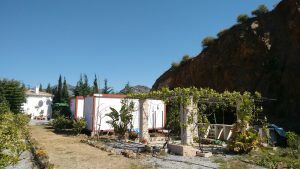 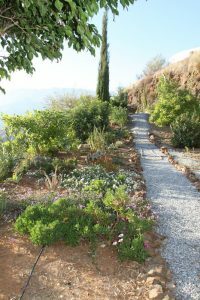 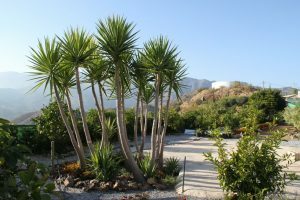 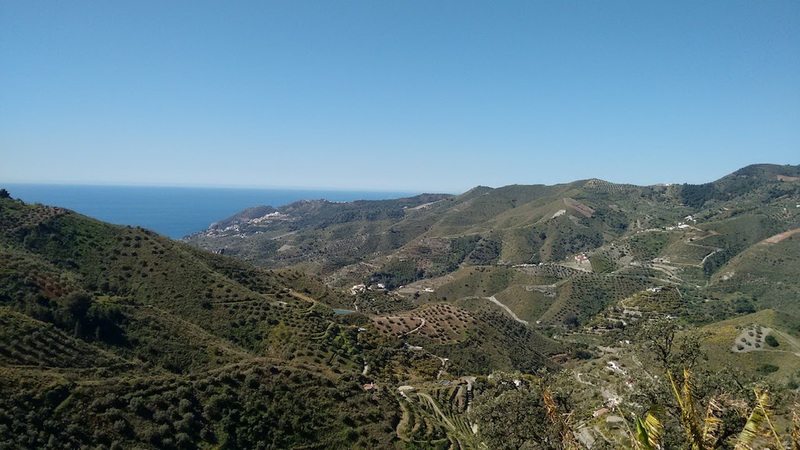 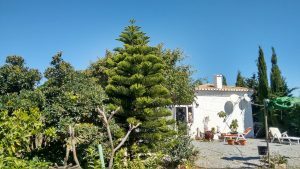 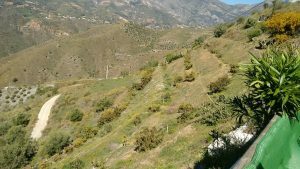 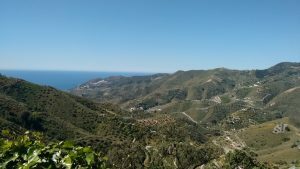 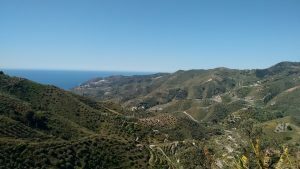 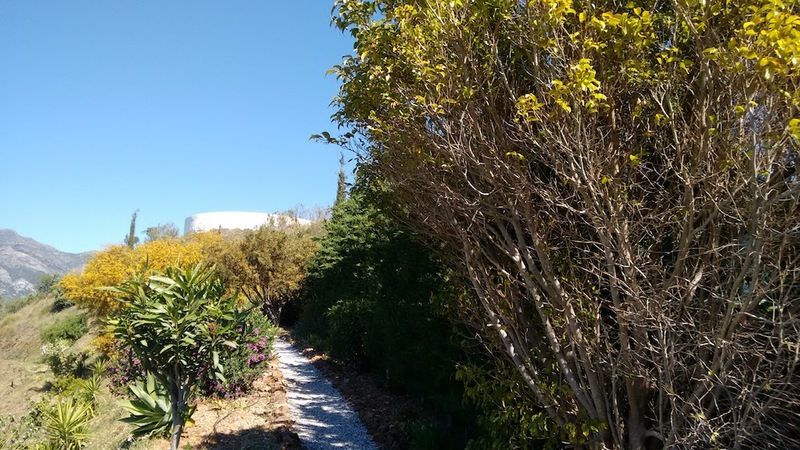 Cortijo with many fruit trees for sale on a beautiful plot of one hectare with a splendid sea and mountain view . 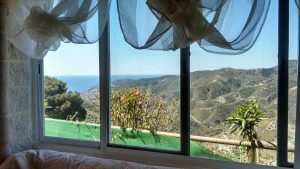 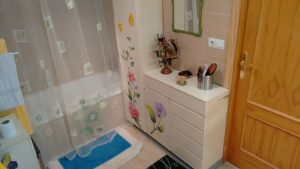 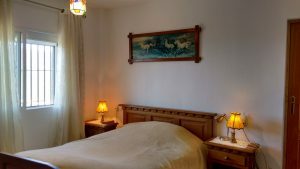 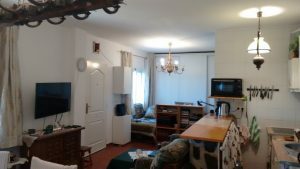 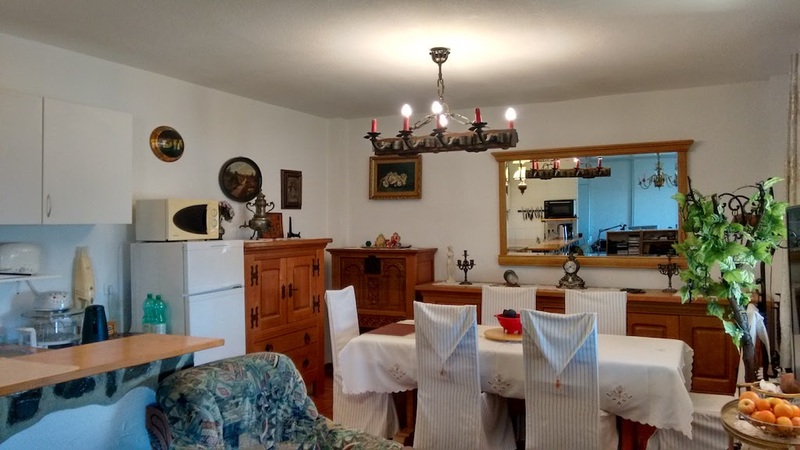 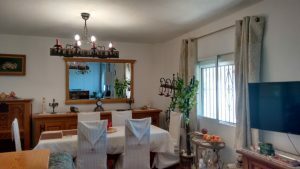 A dozen kilometers from the seaside town of Almunecar, with a quite good access (road asphalt until the entrance of the house), you will find this pretty Cortijo which fulfills all the standards of comfort. 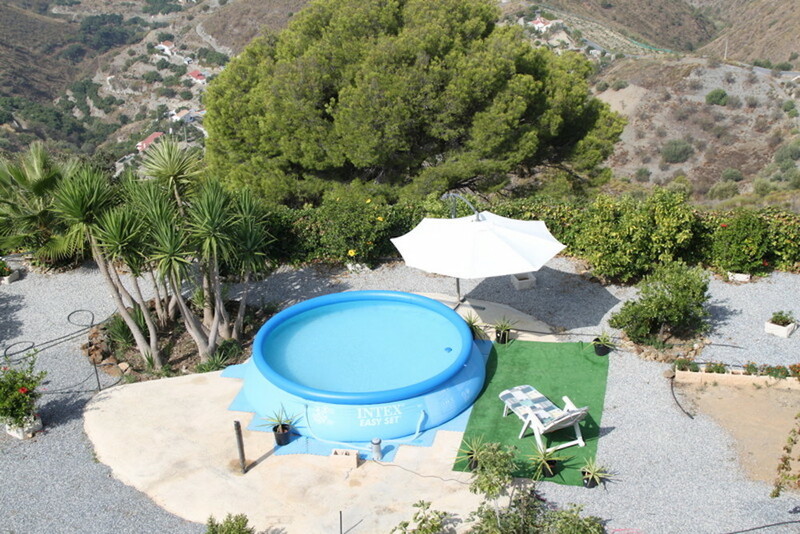 Located on the heights of Almunecar, the house has breathtaking views over the valley and the sea. 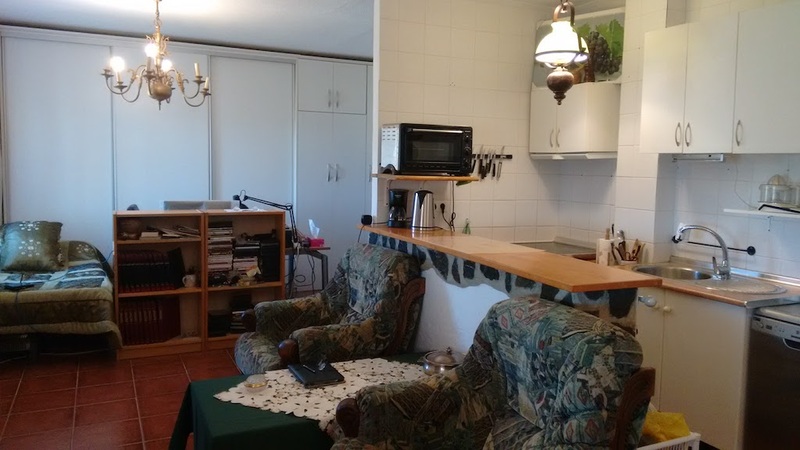 – a living room with a small but fully equipped open kitchen. 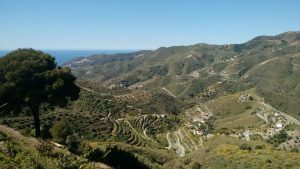 Approximately one hectare with a large variety of fruit trees for personal consumption but also for the purpose of commercialisation. The plantations are relatively recent but the results are encouraging. For your personal consumption, you can enjoy lemon, mandarin, orange, avocado, mango, grape, fig, but also kumquats. Concerning production, you will have mangos and avocados trees with an automated irrigation system with its own water. 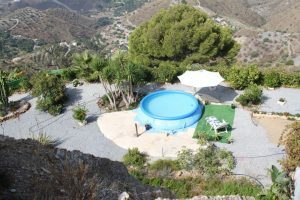 In addition, the house has a pool of about 40,000 m3 which could be easily converted into a beautiful pool with a splendid view. 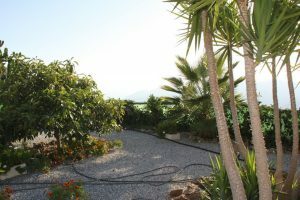 On this beautiful site, a part has been arranged so that you can enjoy your summer evenings thanks to a pergola of about 30m2 covered with grapes and a barbecue. 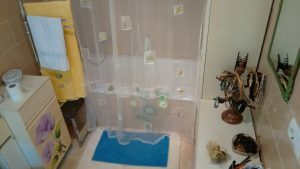 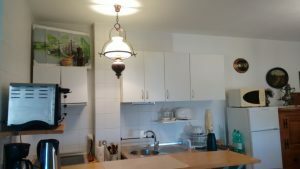 There are also two bungalows, one arranged to accommodate guests (with air conditioning, internet relay etc …) and the other currently used to store various tools. 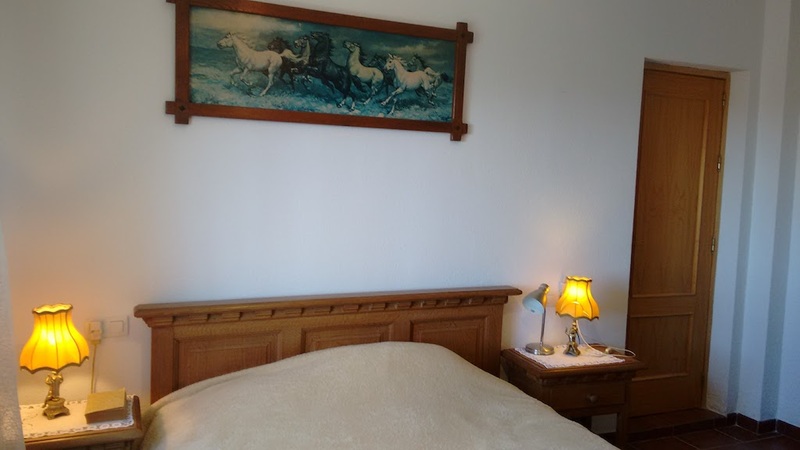 Finally, the house has an alarm system with cameras, television and satellite internet for the biggest comforts. 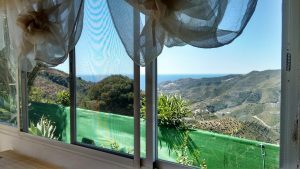 The windows are equipped with mosquito nets.